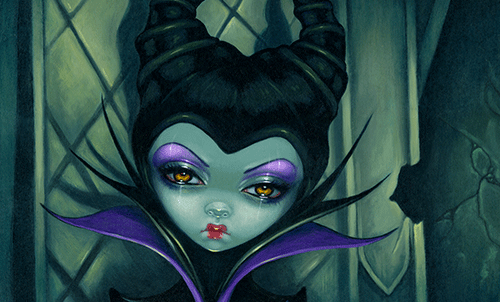 Disney’s WonderGround Gallery – Be Inspired! …and Get ArtQuenched! from 11.am. – 1p.m. 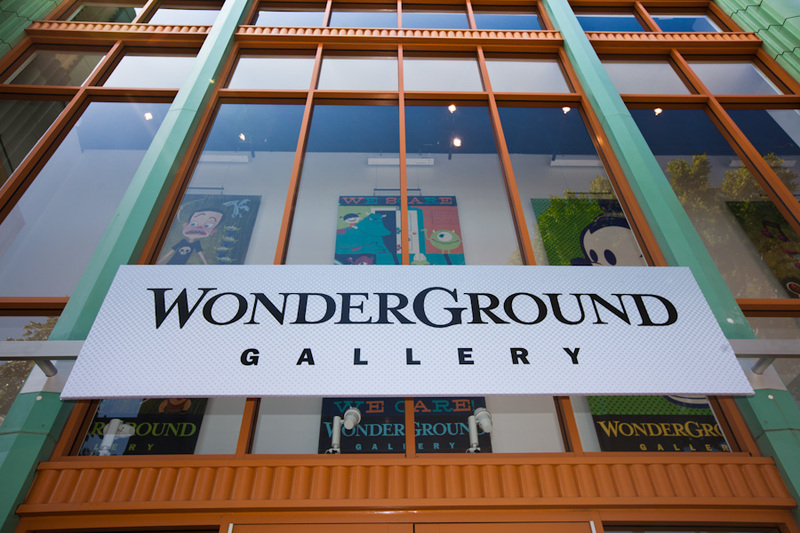 at WonderGround Gallery in the Downtown Disney® District at the Disneyland® Resort. Formats, retails and sizes may vary. A lifelong Disney fan, Jasmine Becket-Griffith spent her childhood visiting the parks, watching Disney films, and of course – creating art! Originally hailing from Walt’s home state of Missouri, Jasmine now lives in the town of Celebration, Florida. 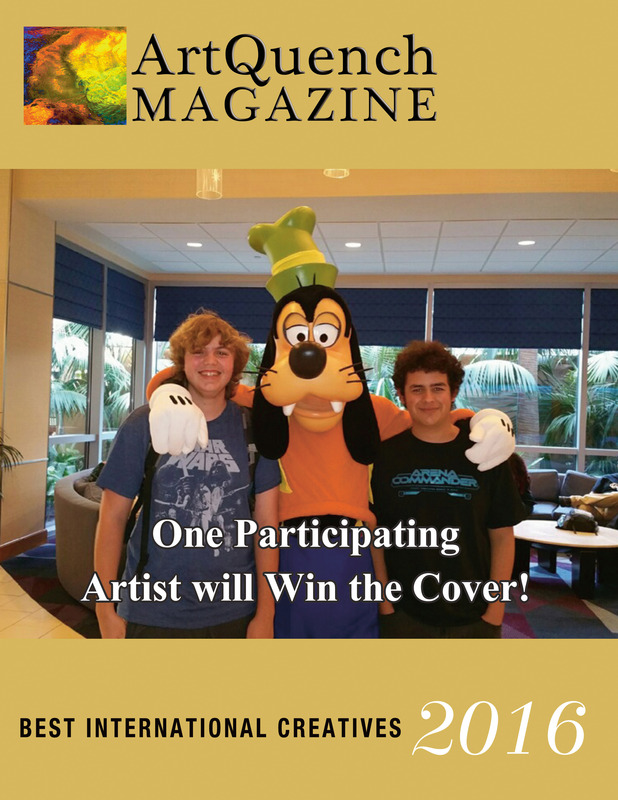 Despite living next door to the Walt Disney World® Resort (and visiting a couple of times every week! ), Jasmine also finds time to regularly travel to the Disneyland®Resort in California, Disneyland® Resort Paris, and Tokyo Disneyland® Resort as well! Jasmine began her art career at the age of five, selling paintings door-to-door. By the time she was 17, her ‘professional’ painting career was in full-swing and she started her online art website in 1997. Ever since, she has been painting full-time. 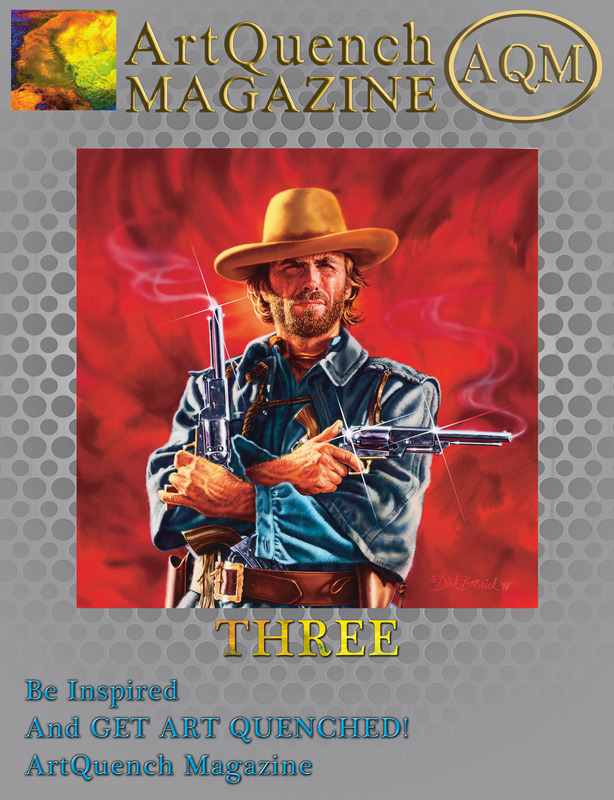 Jasmine’s artwork can be found in many books, magazines, lines of licensed merchandise, and in public and private collections throughout the world. Her other primary art gallery is also on Disney property – Pop Gallery at Downtown Disney West Side at the Walt Disney World® Resort! In addition to her new paintings with WonderGround Gallery, you may also have seen her co-branded creations through the Bradford Exchange and Hamilton Collection. Jasmine is a traditional painter, all of her paintings are painted by hand the old-fashioned way with a paintbrush, water, and acrylic paints. Most are on wood or Masonite panels. Jasmine’s work is populated mostly by female characters with large luminous eyes, in a pop surrealism style dominated by whimsical, fantastic, gothic or historical themes. Jasmine lives with her husband/assistant Matt and their cats. She paints 10-18 hours a day, but when not painting she is often traveling, enjoying nature, or studying art history. Her favorite attractions include The Haunted Mansion and Mr. Toad’s Wild Ride. Born and raised in Orange County, California, Noah grew up to be one of the most well know artist in the country and around the globe. He began his company on his bike at 16 handing our business cards to create art, signs and illustrations for local businesses. Soon after graduation from high school Noah received an airbrush from his family. He then embarked on a career of creating custom portraits on clothing and canvas. He would set up at local clubs and coffee shops to paint live for collectors in front of their eyes. This caught the eye of corporate companies and celebrities. An amazing day came when Noah partnered with The Walt Disney Company™ to create a line of Noah versions of the characters. Noah’s line has become a huge favorite among Disney collectors and fans worldwide. Noah’s works include character interpretation, as well as, product development such as one-of-a-kind Vinylmation™. Noah spends his time creating lines of product for cruise ships, galleries, his clothing line and private commissions for collectors. 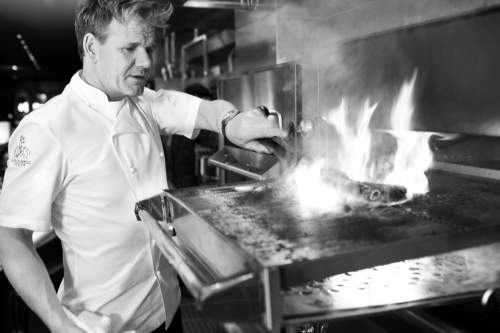 In addition, he spends his time designing and creating new works in his studio. Next Post: World Wide Art L.A.